RestorativePeople especially talented in the Restorative theme are adept at dealing with problems. They are good at figuring out what is wrong and resolving it. FuturisticPeople especially talented in the Futuristic theme are inspired by the future and what could be. They inspire others with their visions of the future. Frank joined RCG in March 2014 and currently serves as the co-chief investment officer and as a wealth advisor. He prepares, implements, and monitors financial plans. He also manages and rebalances client portfolios. Frank is a Certified Financial Planner™ professional and a Chartered Financial Analyst® (CFA®) charterholder. He is an Accredited Investment Fiduciary® (AIF®) and a board member for the CFA Society Orlando. 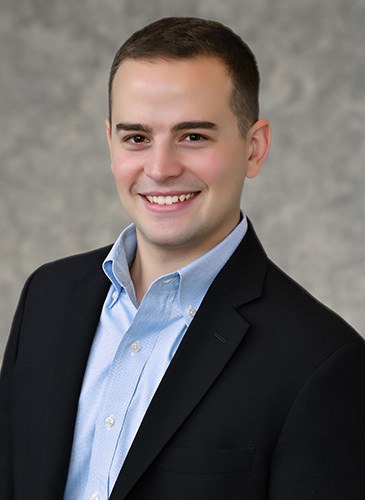 Originally from the greater Miami area, Frank moved to Orlando in 2007 where he completed his bachelor’s degree in finance from the University of Central Florida. While earning his degree, he studied abroad at the Universidad de Granada in Spain. In his spare time, Frank enjoys traveling and spending time outdoors, and is an avid supporter of Orlando City Soccer Club. I have two main passions in life: learning and teaching. The field of investments and wealth management intersect these two passions perfectly. In a field with constant change, I am continuously challenged to stay ahead of the industry and apply that information to specific situations to help clients achieve their life goals. RCG’s evidence-based investment process is ideal for my skillset. We constantly look for ways to improve our clients’ outcomes, as opposed to predicting which stock (or fund manager) might have “just the right touch” this year. “Good enough never is” is one of my guiding principles, and something that RCG embodies in our approach to serving our clients and community. Lastly, I enjoy learning from my clients and their successes. While I’m helping them to reach their financial goals, they’re giving me great insight into building a meaningful career.